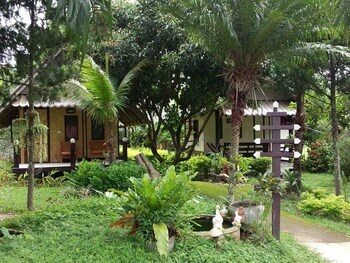 With a stay at Banana House Pai in Pai, you'll be a 4-minute walk from Pai Hospital and 7 minutes by foot from Wat Luang. Featured amenities include dry cleaning/laundry services and luggage storage. Free self parking is available onsite. With a stay at Banlomnow in Chiang Rai, you'll be within a 15-minute drive of Wat Pra Singh and Wat Phra Kaew. The front desk is staffed during limited hours. Free self parking is available onsite. With a stay at Luang Chumni Village in Ayutthaya, you'll be within a 5-minute drive of Wat Ratchaburana and Ayutthaya Historical Park. The front desk is staffed during limited hours.